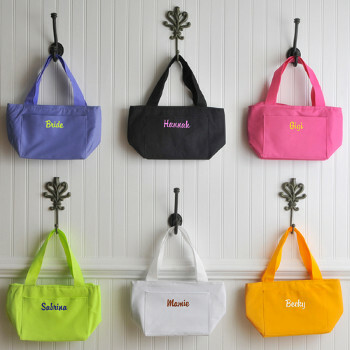 Great for a jaunt to the beach or a day at the office, our compact Breezy Bay personalized cooler tote packs your whole lunch...and then some. Eco-friendly with a lining made of 50% recycled products, this easy-to-carry cooler includes a zipper closure, front pocket and nylon handles. Available in a rainbow of colors, the cooler also features an embroidered initial in one of our 10 signature colors for that personal touch. Measures 12 1/2" x 7 1/4" x 5 1/2". 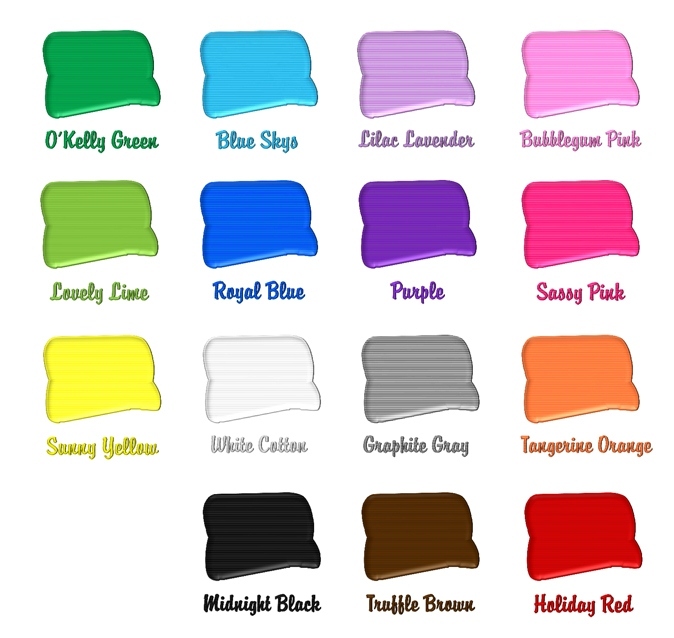 Colors available - Midnight, Raspberry, Lime, Sunkissed, Periwinkle Blue and White. Personalized with one letter from our many thread colors below and tied with matching ribbon.